So for a couple of days last week I went back to school. A few of us from africanDRONE, namely Unequal Scenes, Microdrone, African Defence Review and of course Uhurulabs, were sponsored by ICFJ to attend a three day intensive Drone Journalism School at the University of Oregon, in Portland. The conference was organized by Google News Labs, the University of Nebraska School of Journalism and Poynter. It was a very interesting experience as for the most part my work with drones has been for data collection, survey etc, while most in the room were focusing on using drones for video and photography. One thing we all did have in common however was an overwhelming understanding that the rapid commercialization of consumer drones has changed the realm of what’s possible and by whom in ways we could not have thought possible five years ago. 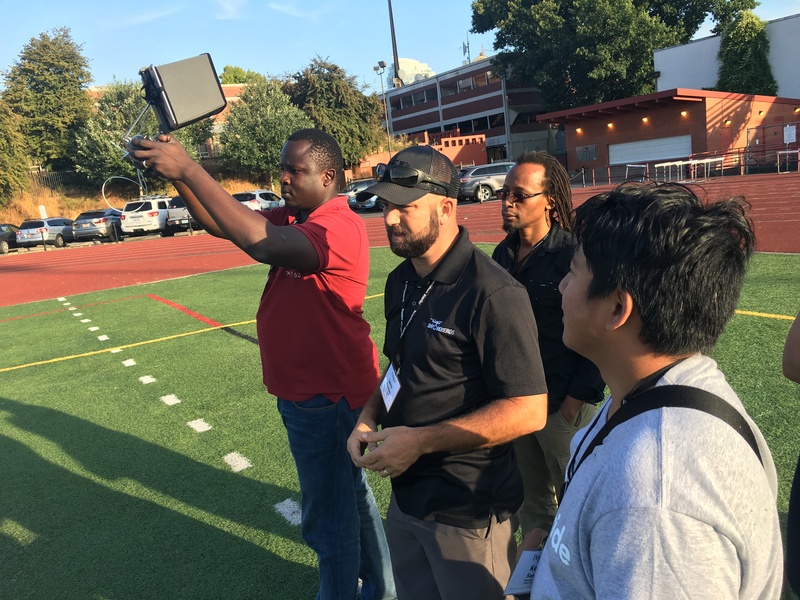 A main focus of the conference was the training for the American FAA Regulations Part 107, which are the new rules for non-hobbyist small unmanned aircraft (UAS) operations in the USA. The conference had several great tutors who took everyone through all the aspects of the regulations in preparation for the attendees to take the exam. Regulations are the topic of the day, and of great concern to anyone who wishes to operate UAS commercially. All over the world the various regulatory bodies are struggling to create rules and an environment that allow for the safe and fair usage of our skies. A colleague from africanDRONE has said that he thinks the American approach is “pragmatic and economically advantageous“, this of-course is relative to the South African regulations where it costs up-to 10,000$ to be fully registered and certified to operate UAS commercially. Contrast that with Tanzania where currently there is no payment required for the registration of UAS, there are only procedures you are required to follow with the Tanzanian Civil Aviation Authority (TCAA), and the Ministry of Defence (MoD). I personally have done this a number of times and have found the process straight forward. The one thing I will mention is that until now you have been required to do this for every flight, which can become a burden. I am currently in the process of getting a more permissive permit, that perhaps will only require me to log a flight plan whenever I want to fly, fingers crossed on that! Lots of people know me as the Drone guy, what many don’t know is that I don’t think I am actually a very good drone pilot, I almost never fly for photography or video and much of my work is automated, where all flights are planned and programmed in the office. 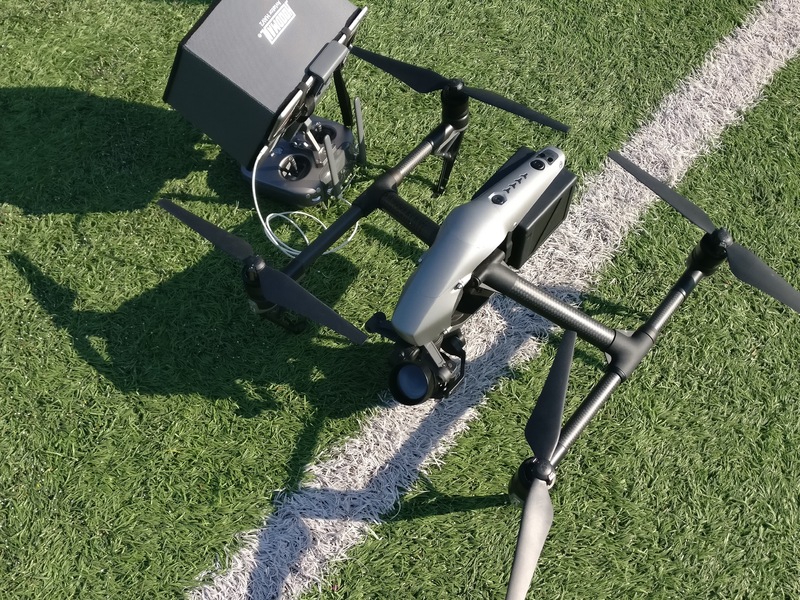 I rarely get my hands on the latest consumer drones and even when my friends offer me to try theirs I say no, as I don’t want to crash a $6,000 Inspire! Luckily for me one of the conference sponsors DJI, had brought a number of their latest drones and took us all out for some test flights. The inspire 2 is awesome, but would be a waste in my hands, happy though that I had a chance to finally fly it!